Enchant the Spirit Homecoming Spirit Day: Enjoy DIY Halloween and magic crafts, a photo booth, food and live music from Patio Jams. When: Tuesday, Oct. 31, 11 a.m. to 2 p.m. at SC Patio. 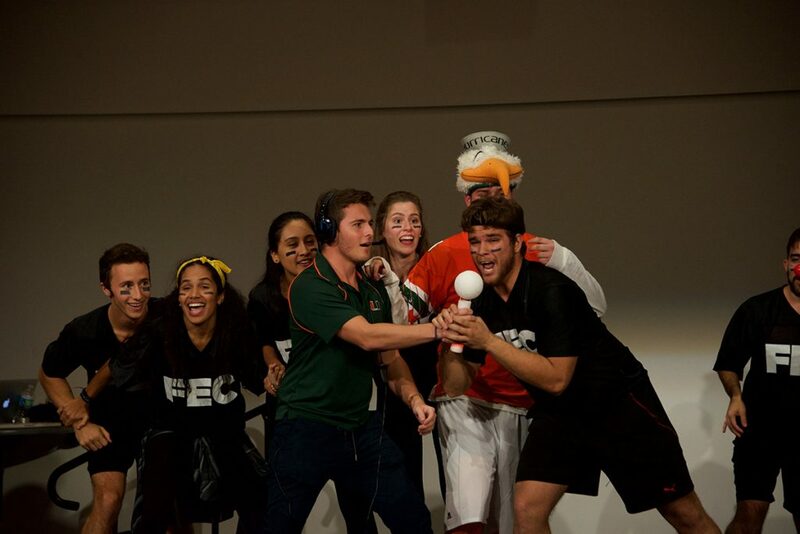 Organized Cheer Competition: Various student organizations participate in the annual cheer competition, which showcases skits and dance performances. Organizations compete until one team wins. When: Wednesday, Nov. 1, 7 p.m. at Lakeside Patio Stage. Federacion de Estudiantes Cubanos performs during last year's O-Cheer. File photo. A$AP Ferg and Cash Cash Concert: Jam to rapper A$AP Ferg and electronic music group Cash Cash at the annual HP Homecoming Concert on Thursday. Pick up your free student ticket in the UC Breezeway between 10:00 a.m. and 4:00 p.m., and stay tuned to HP’s event page for updates on meet and greet and floor pass opportunities. When: Thursday, Nov. 2, doors open at 7 p.m. at the Watsco Center. 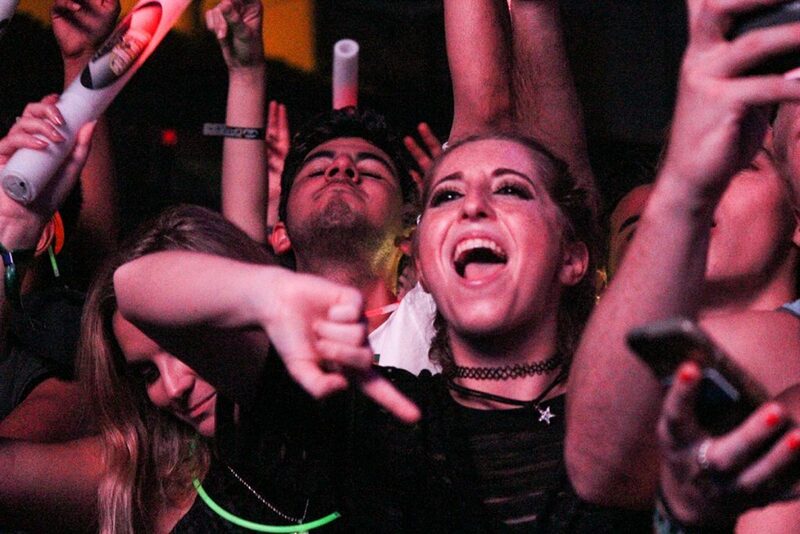 Students rave to Marshmello during last year's Homecoming Concert. File photo. Hurricane Howl: Have fun with carnival games, eat great local fare from food trucks, take pictures at the photo booth and dance to live music, before and after the parade. When: Friday, Nov. 3, 6-10 p.m. Food Trucks at Miller Circle. 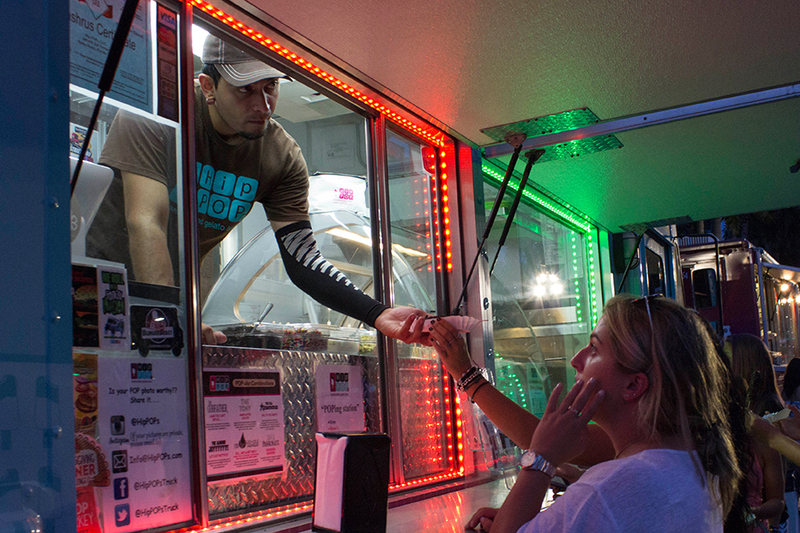 During Hurricane Howl, students will be given vouchers for food trucks along Stanford Drive. File photo. Homecoming Parade: Hundreds of students, families, faculty and staff can see how organizations interpret the theme, “Magic in You” with floats, outfits and cheers. When: Friday, Nov. 3, 7 p.m. at Stanford Drive. The Band of the Hour performs at last year's Homecoming Parade. File photo. Boat Burning and Fireworks: Gather around the lake to take part in UM’s time-honored tradition. The sky will light up in green and orange before the annual boat burning takes place. 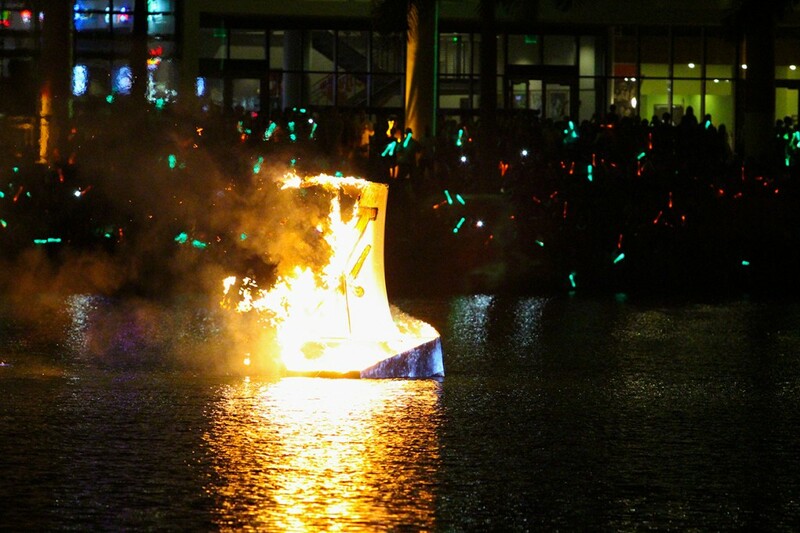 The annual boat burning event on Lake Osceola from 2015. According to tradition, if the mast falls before the boat sinks it is predicted the 'Canes will win the Homecoming football game. File photo. 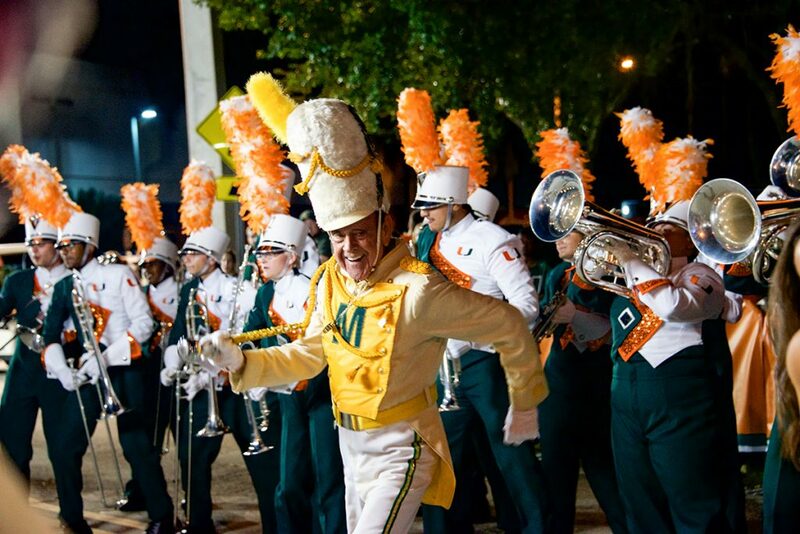 Homecoming Game against Virginia Tech: Wear your most vibrant green and orange to cheer on the Canes as they play the No. 13 team and try to maintain their undefeated streak. 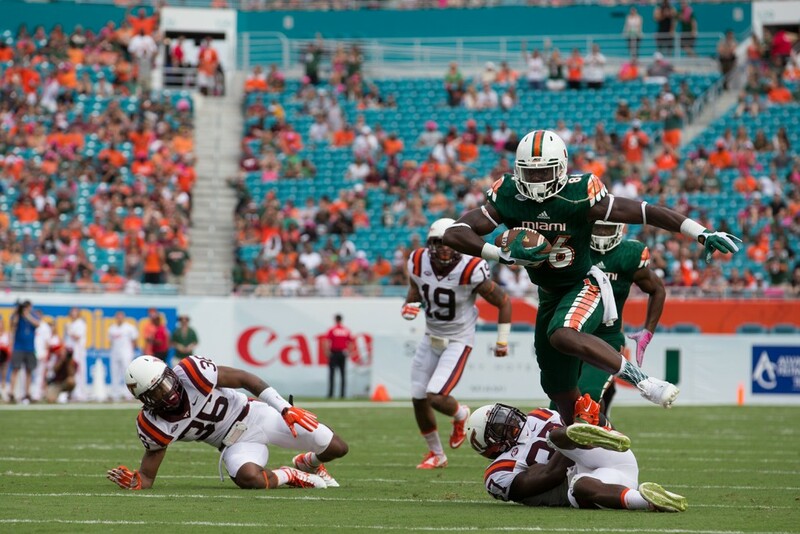 Miami won 30-20 the last time the Hurricanes played the Virginia Tech Hokies at home in 2015. File photo.